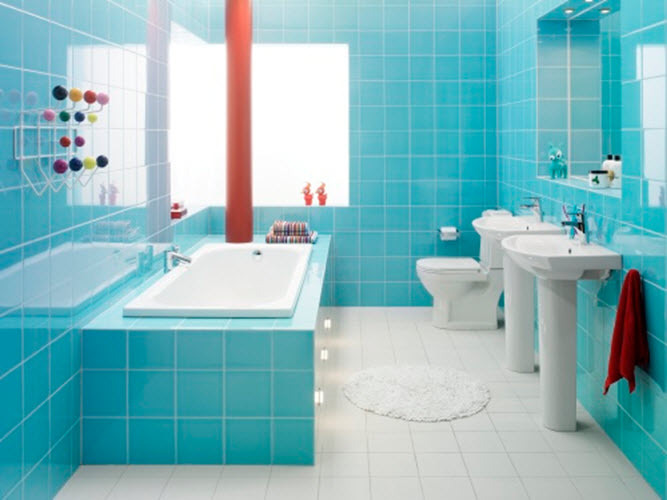 What is the best color for a bathroom? 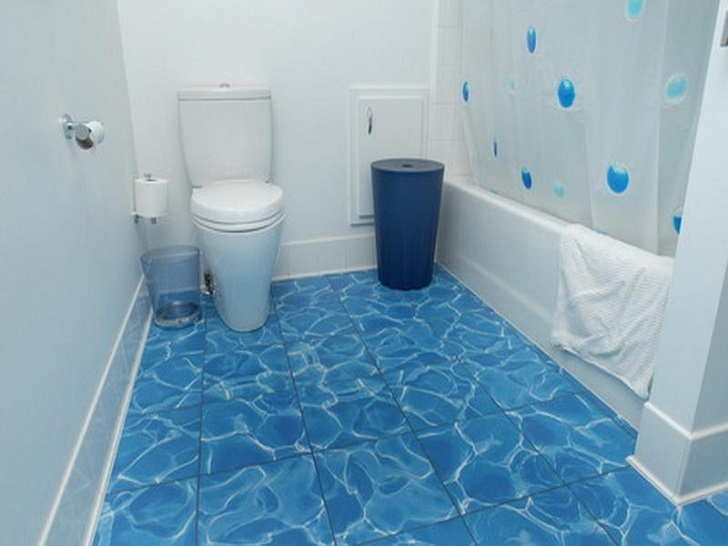 Well, this question depends on your tastes, of course. 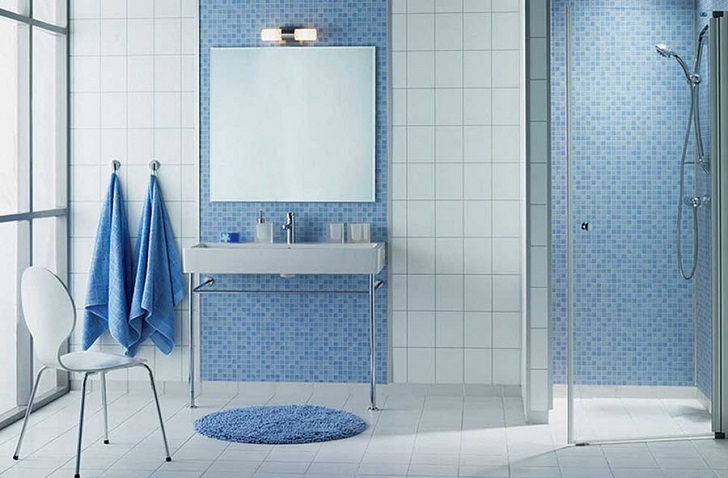 For some, it is white, for others – black. 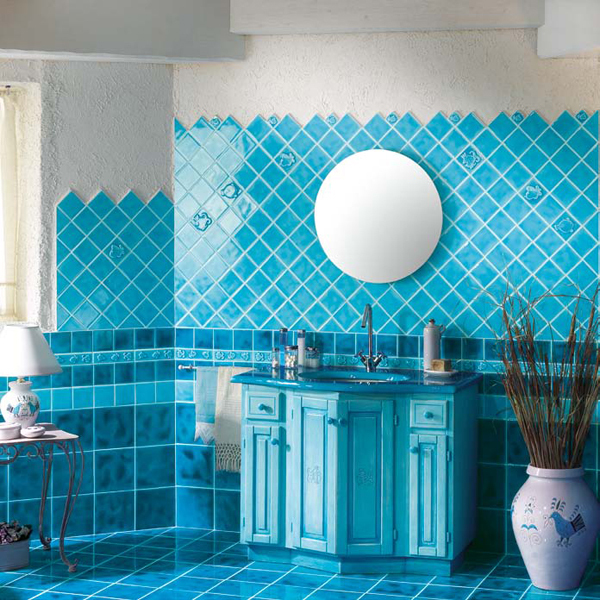 But there is one color that is tightly associated with water, sea and beach – this color is blue. 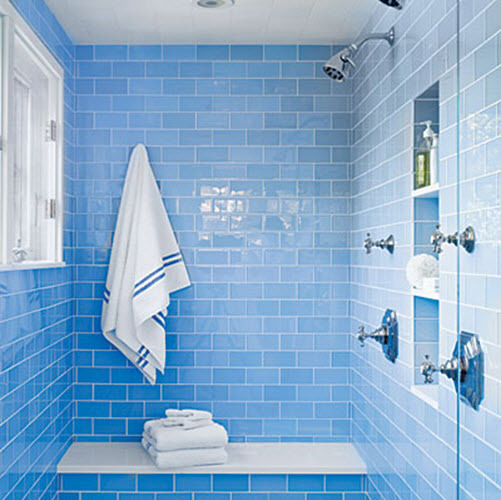 There are dozens of shades of blue that can be combined and contrasted creating a perfect design and color palette for any home space. 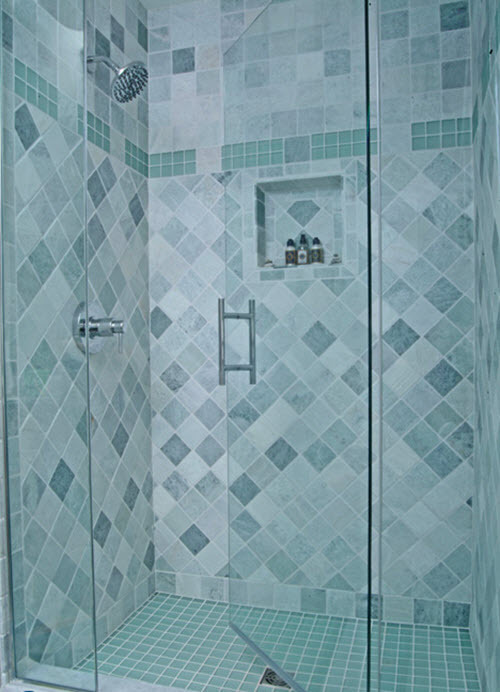 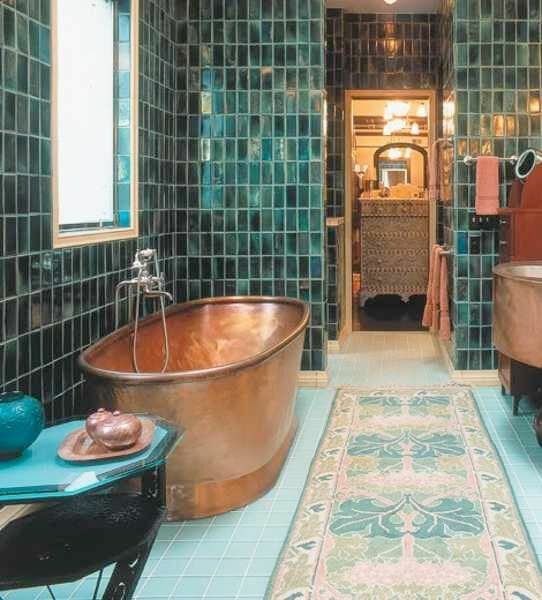 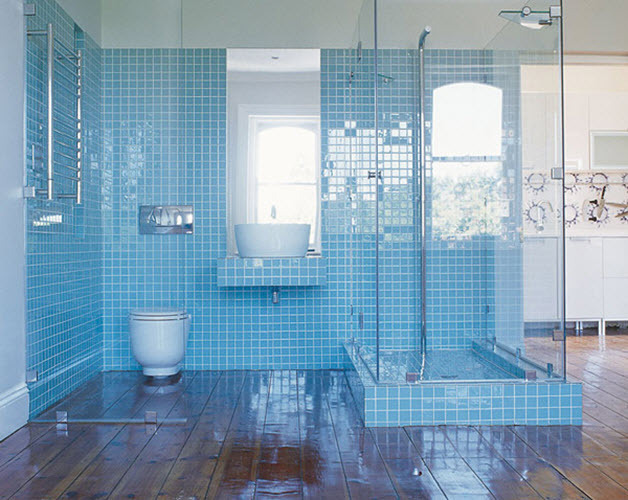 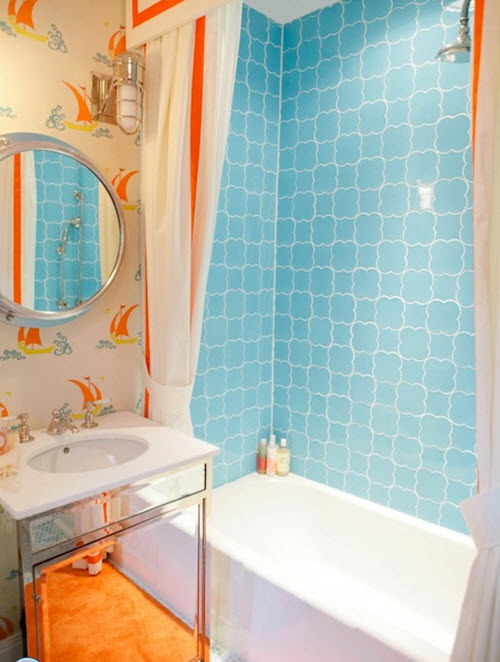 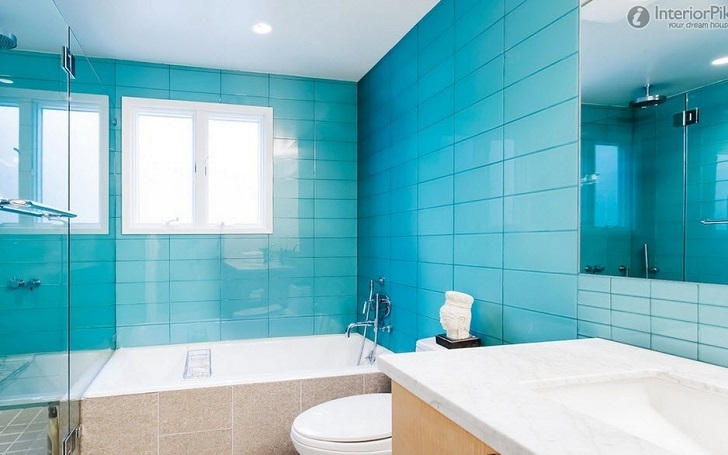 But for a bathroom blue is especially suitable as it reminds of the ocean waves and beach life. 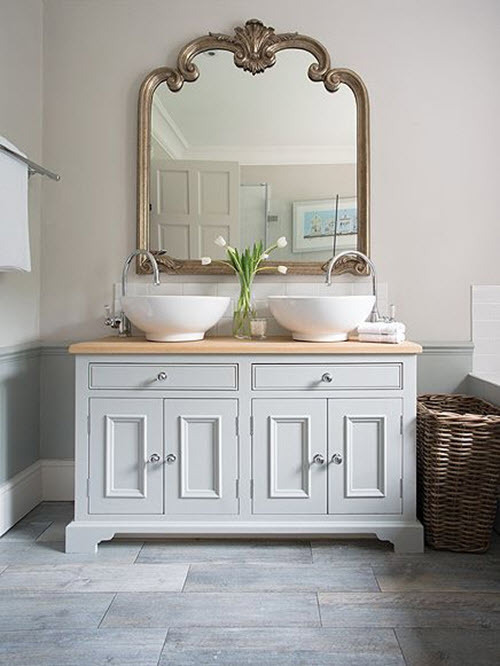 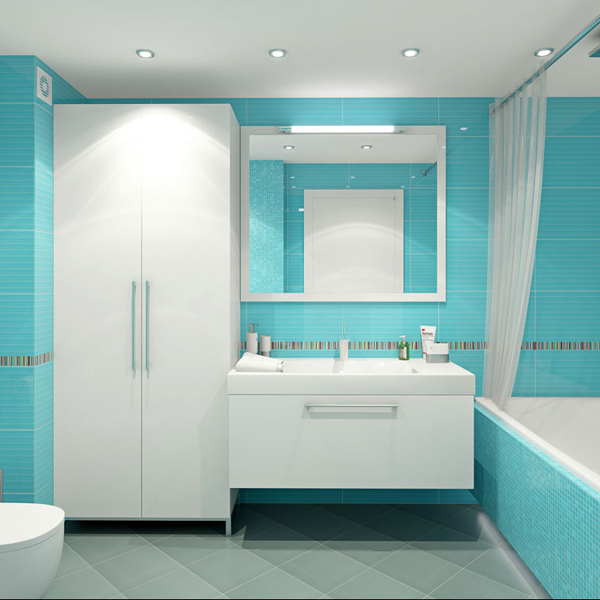 If you are at a loss what shade of blue to use in your bathroom we are here to help: think about baby blue – one of the most gentle and warm colors in blue palette. 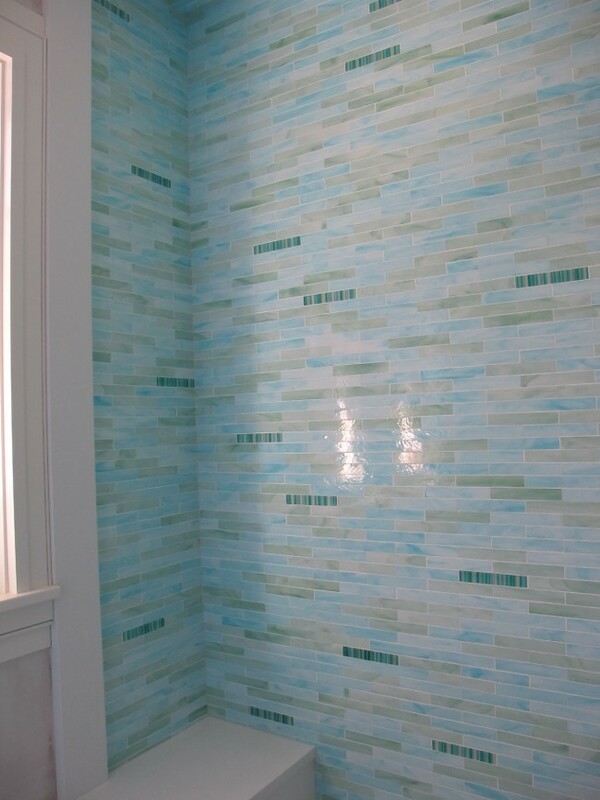 It is strongly associated with sea and water and can create a wonderful atmosphere of the beach right at your home. 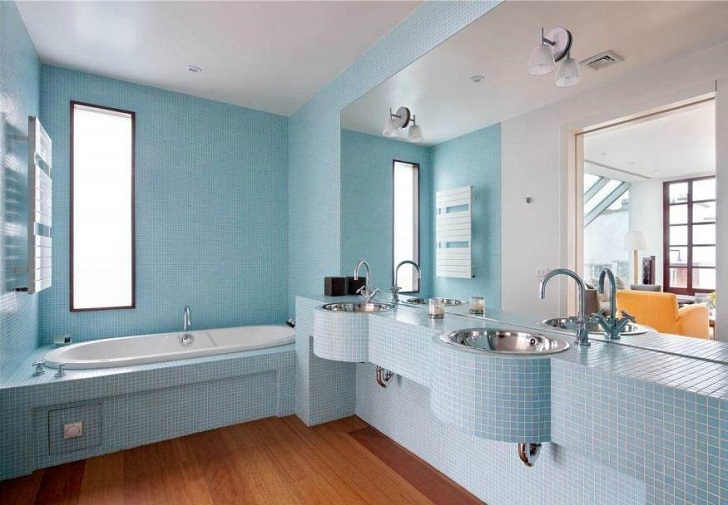 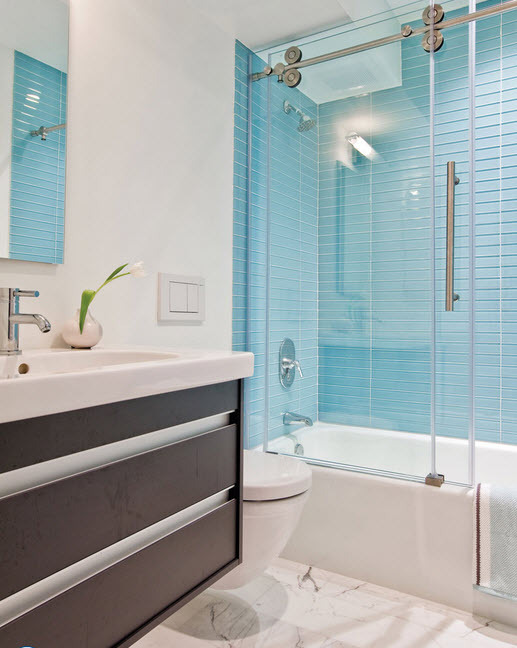 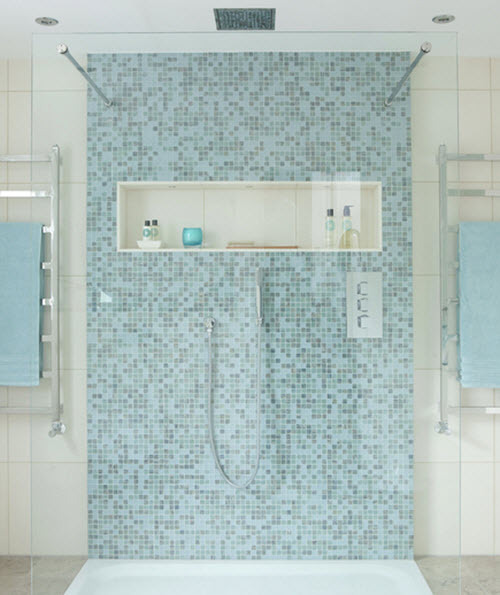 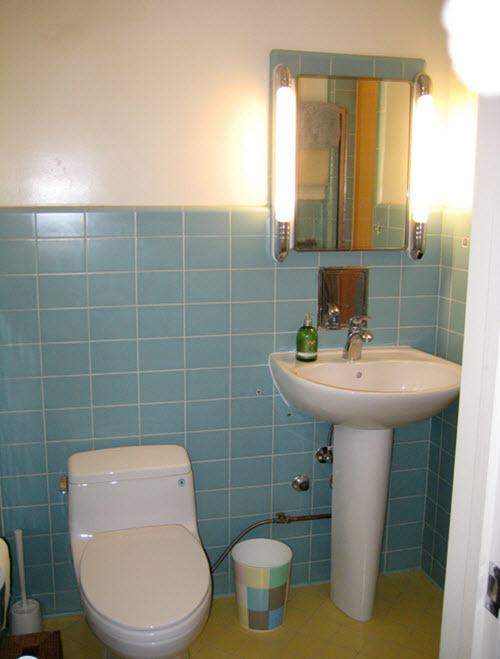 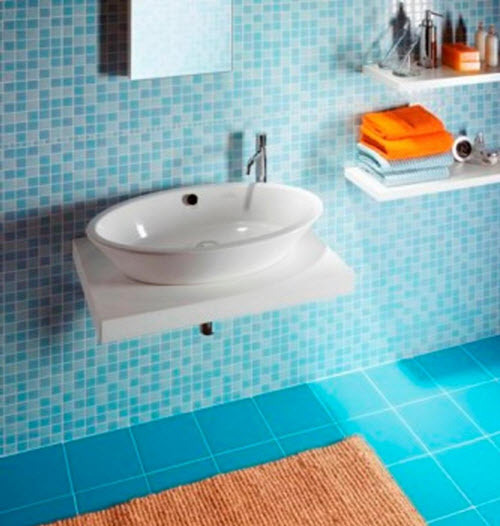 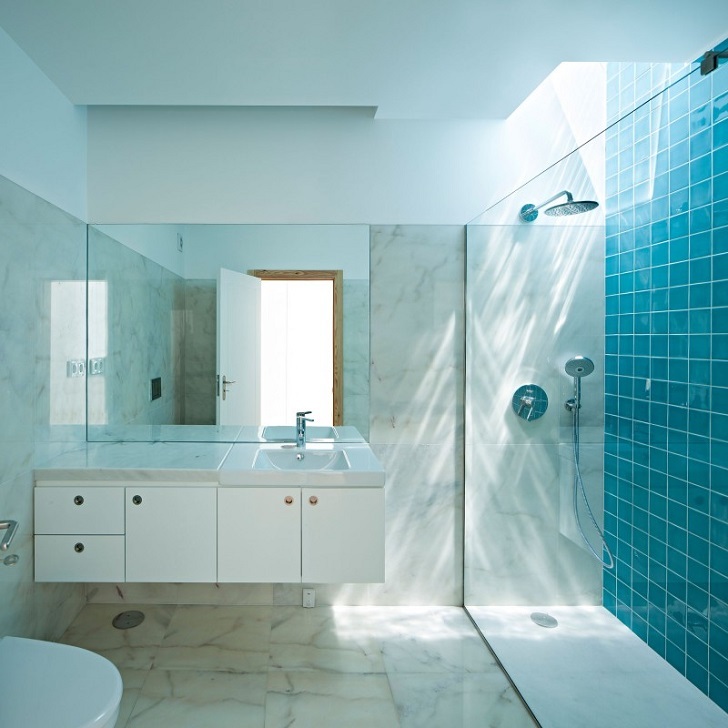 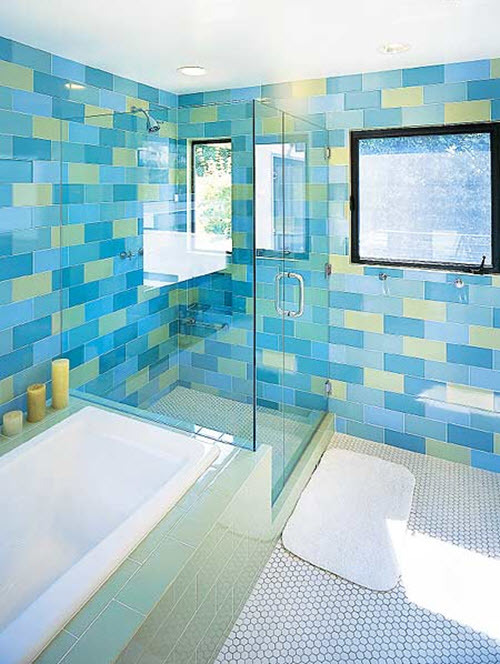 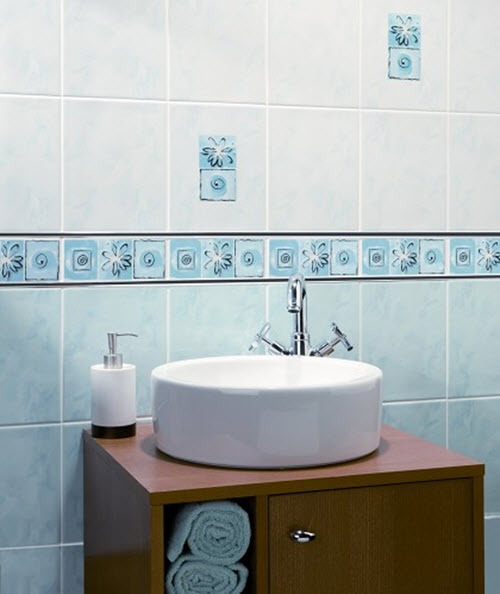 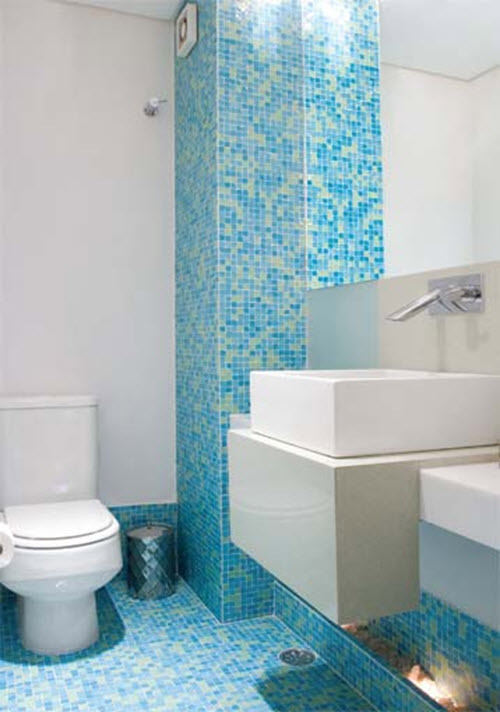 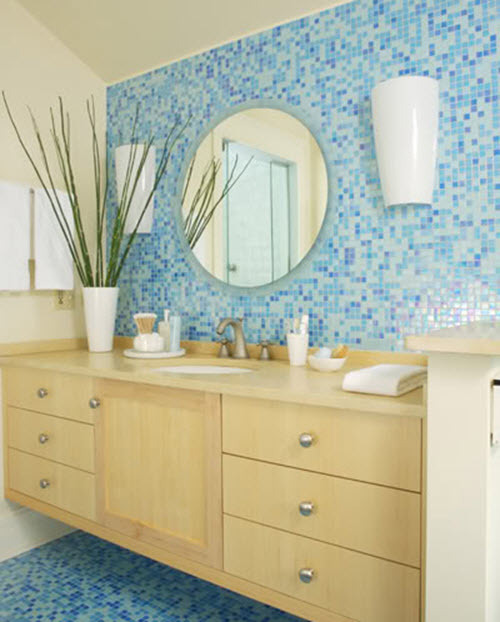 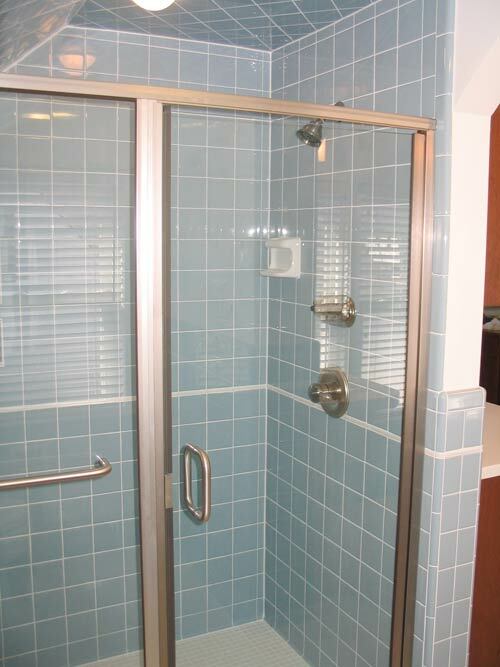 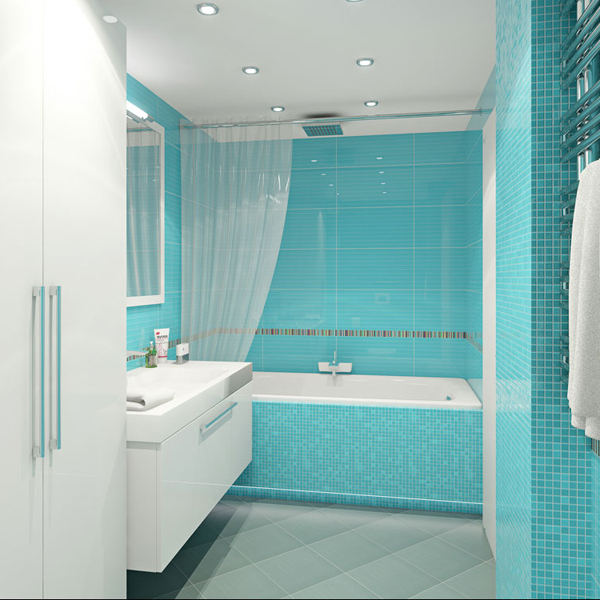 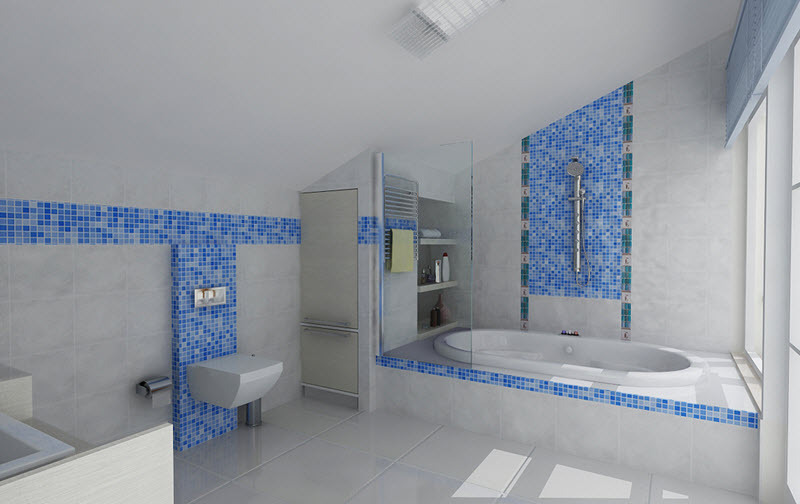 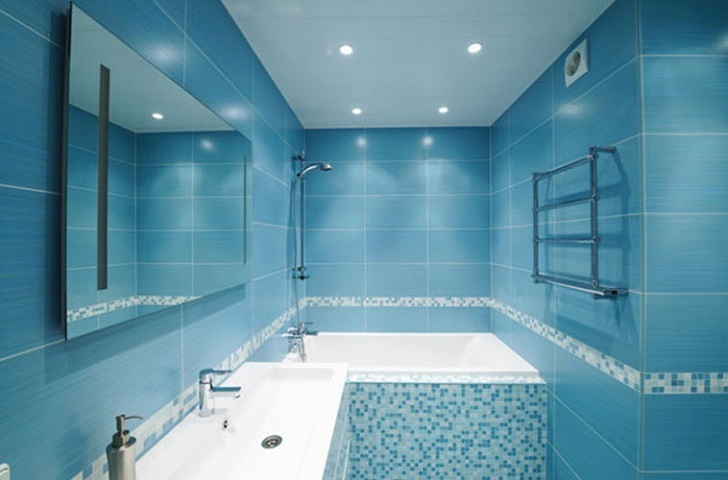 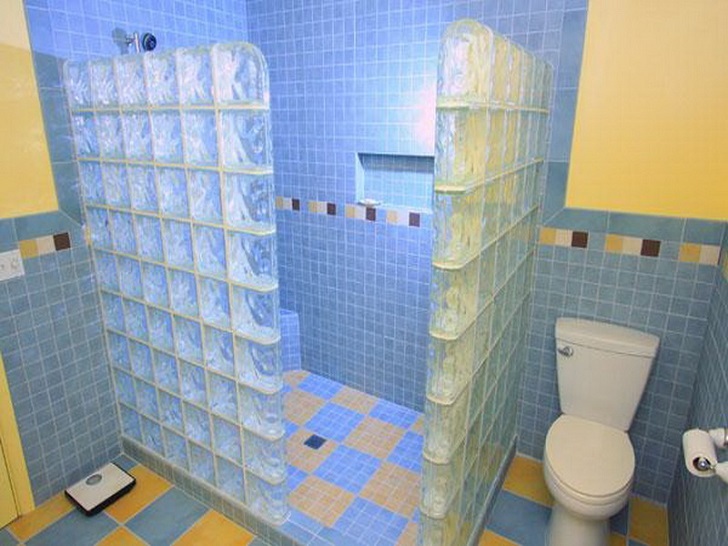 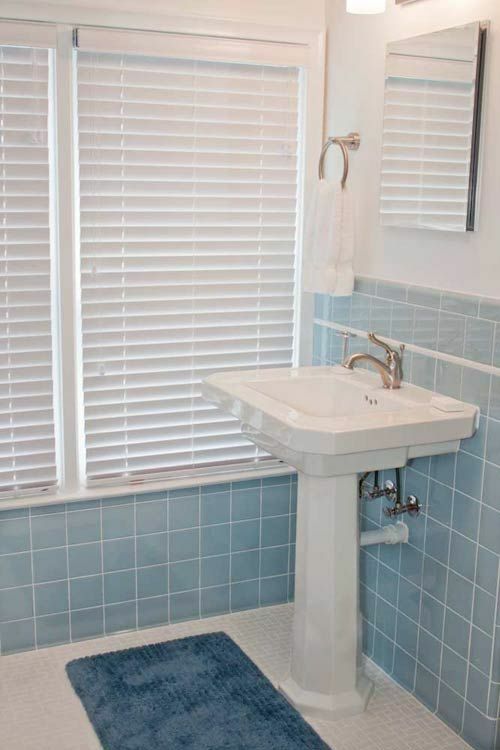 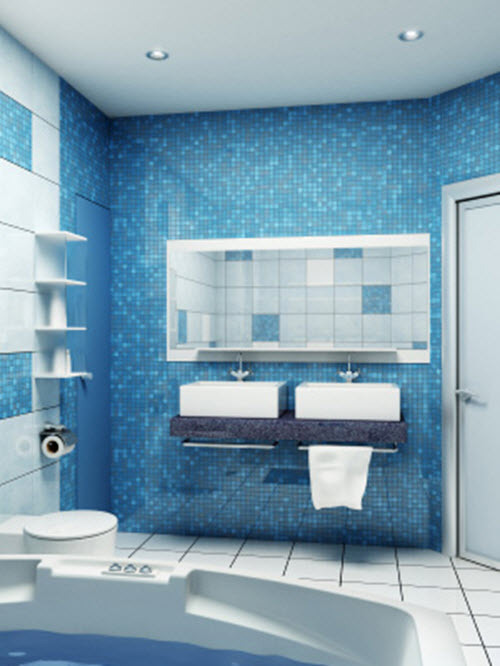 One of the best options to achieve this effect is to use baby blue bathroom tile on the floor or/and walls of the room. 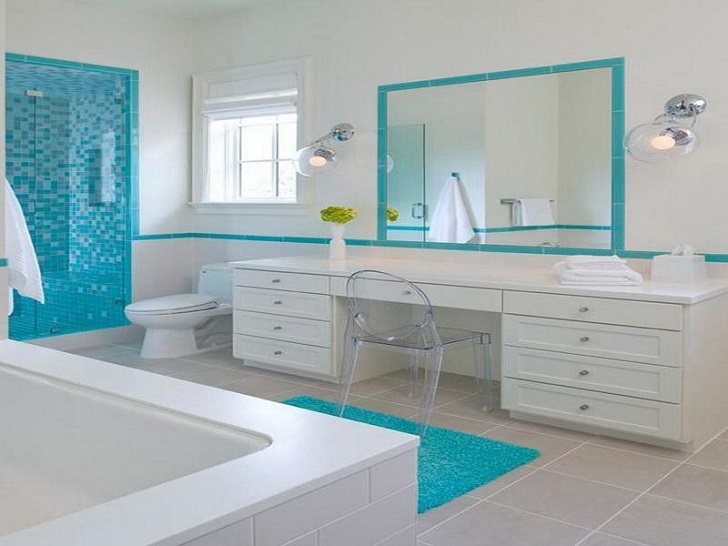 Besides, baby blue perfectly combines with other colors, best of all – white. 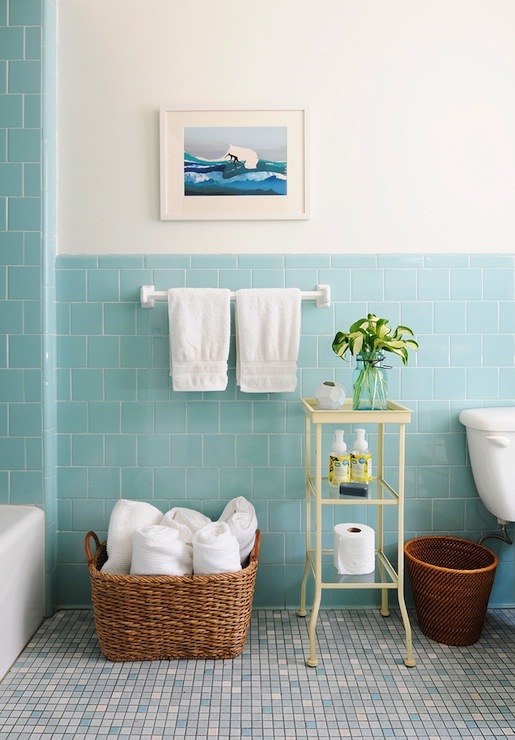 Create an illusion of a shore in your home by adding one perfect color! 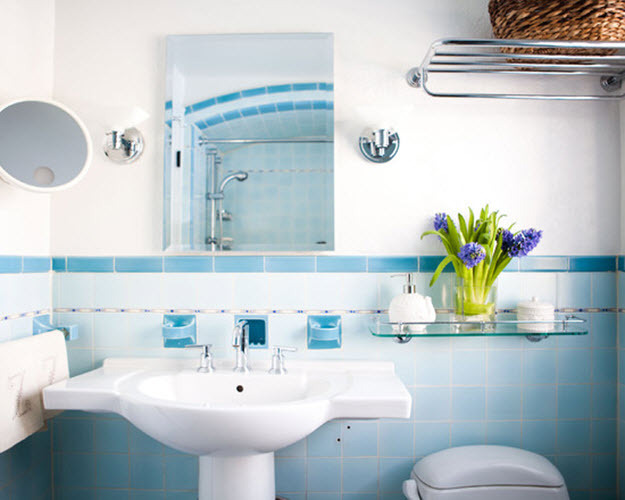 Look at these photo ideas below to get inspired and make decision. 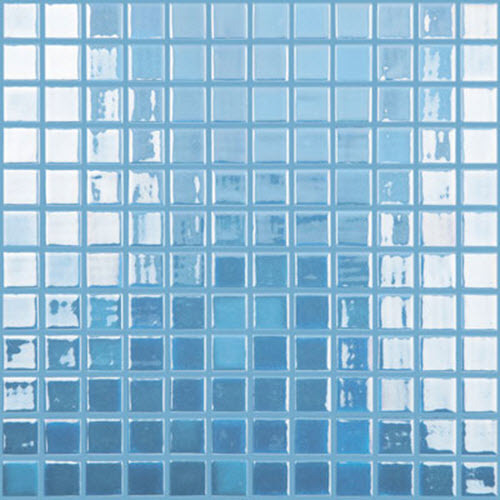 How is the mosaic fade (from blues to white) made? 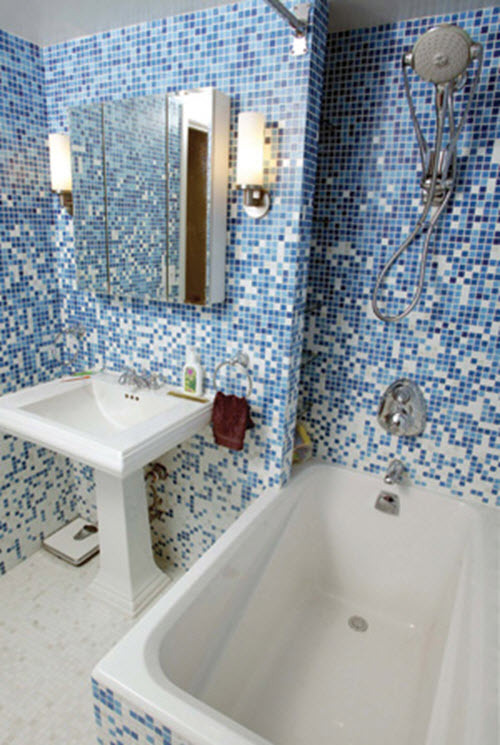 I thought mosaic tiles came in sheets, can you pick off squares and replace them with white…?